In the North Sea a jealous queen transforms King Lir's three children into swans, doomed to spend nine hundred years tossed by the icy waves. Will the children of Lir escape their tragic destiny? The Children of Lir is one of Ireland's best known traditional tales. 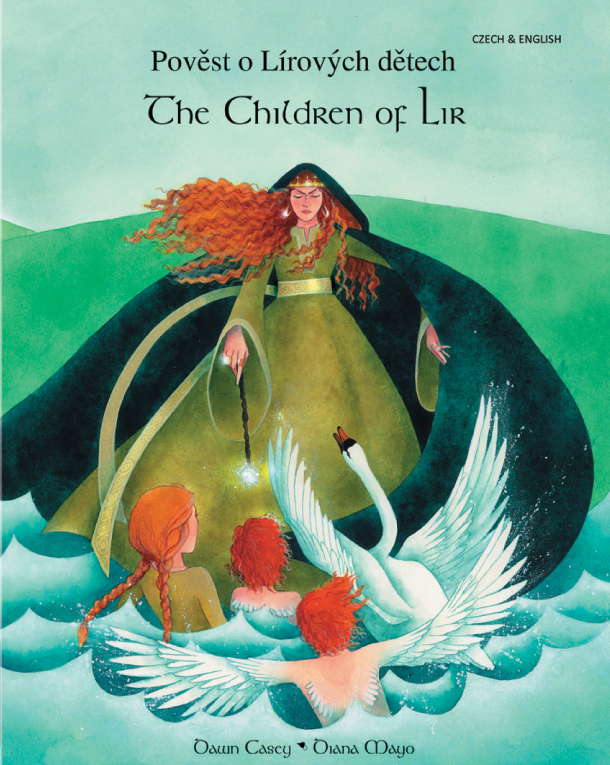 A haunting myth beautifully retold, Dawn Casey's adaptation of 'The Children of Lir' will captivate children around the world. This well-loved Celtic tale is an excellent example of traditional storytelling and provides a platform for introducing readers to Celtic mythology, as well as encouraging creative reading and writing. Please note that the following dual language editions can be used with TalkingPEN: Arabic, Cantonese, Farsi, French, German, Irish, Panjabi, Polish, Portuguese, Somali, Tamil, Turkish, Urdu and Vietnamese. Other editions are not TalkingPEN-enabled at the moment.